Machine-quilter Angela Walters shares her secrets for finding fun in finishing your quilts. Machine-quilter Angela Walters has quilted her way to the top, winning the admiration of many who want to follow in her footsteps. 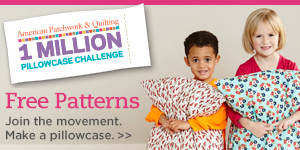 Her ideas and inspiration for quilting designs follow. Practice on a fabric panel so you can get the feel of working within borders and pieces without the work of piecing a practice quilt top. Angela’s Right Angles panel from her Textures collection for Art Gallery Fabrics is a perfect choice. See it in action! Click here to see a video of Angela quilting this panel. Begin with simple shapes to get the feel of moving your hands (if you’re using a long-arm quilting machine) or moving the fabric (if you’re quilting on a regular home-sewing machine or on a sit-down quilting machine). Repeatedly making figure eights or wishbone shapes will help you get into a rhythm. Back-and-forth lines are another great filler. Practice alternating directions across an open area to break up big spaces and add interest. Wavy lines don’t have to stretch across the entire top. In fact, they can look more like rolling waves if you have them almost bump into an adjacent line then bounce back. For geometric and straight-line quilts, such as this checkerboard top, wavy lines provide a nice foil by adding gentle curves. Add more interest to a design of wavy lines by adding intermittent rows of continuous-line circles that mimic bubbles in the waves. Or vary the distance between wavy lines and their direction to give the appearance of wafting smoke. Wavy lines also can break up wholecloth areas of a quilt and become the barrier between overall swirl hook designs. See it in action! Click here to see the Intro to Swirl Designs video. Or they can cordon off different motifs as shown here: swirls, ribbon candy, and more wavy lines running perpendicular. Brackets are a more controlled and repetitive shape to create than the meandering wavy lines. Brackets can be used to contain other designs, such as the back-and-forth stitching here. Fabric motifs can also suggest quilting designs, as the scallops and clamshell designs here mimic the prints. Pair curved and straight lines for a little push-and-pull in your quilting. Closely spaced back and forth lines look almost dotted when stitched over a micro-dot fabric. A simple square chain in the alternate squares provides a lighter look. See it in action! Click here to see the Geometric Quilting Designs video. A square chain design can also be softened by leaving open centers that can be filled with an overall swirl hook pattern. Echo quilting can be done around most basic shapes. Ribbon candy looks great stitched singly (top) or echoed (bottom). Back-and-forth lines separate the two. 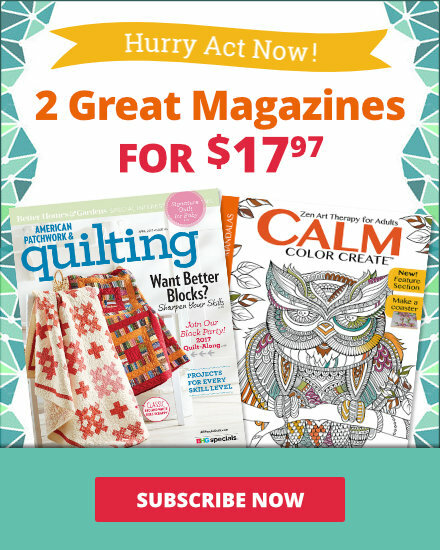 Think about contrast between your piecing and quilting. Circle variations and wavy lines provide a soft counterpoint to angular piecing. Feathers don’t have to be formal. Meander feathers across a top for a rich look. See it in action! Click here to see the Troubleshooting Feathers video. Using a double layer of batting highlights the quilting. 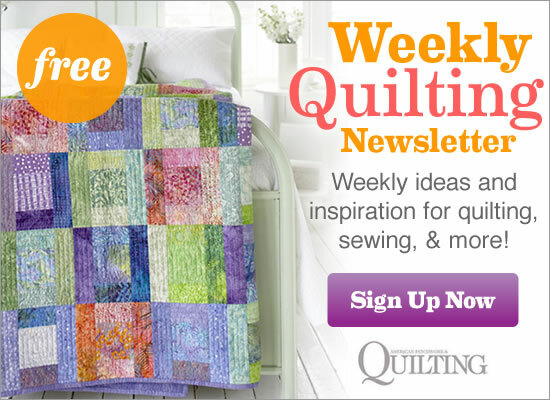 “If you want your quilting to look really great, quilt really small and use matching thread,” Angela says. See it in action! 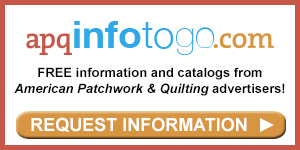 Click here to see the Spotlight Your Quilting video. See it in action! Click here to see the More Swirl Designs video. 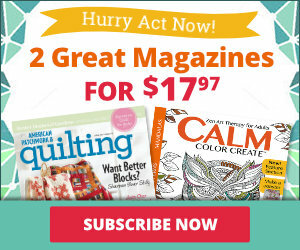 Learn more step-by-step how-to for these quilting designs and more in Angela’s books. Free-Motion Quilting with Angela Walters (Stash Books, 2012) describes 28 step-by-step machine-quilting designs, while In the Studio with Angela Walters (Stash Books, 2012) offers 10 projects and ideas for quilting designs to add movement, depth, and contrast into quilts.